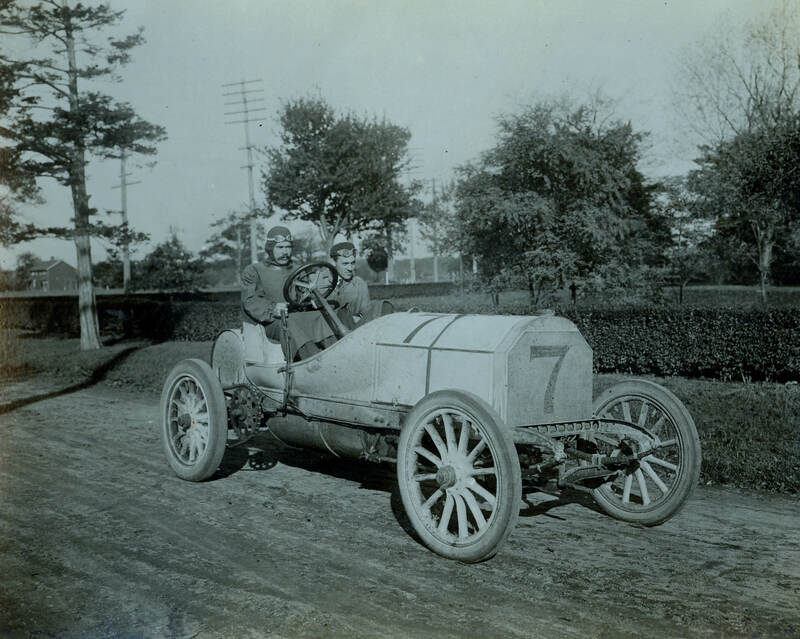 As posted last week, pharmacuetical magnate George McKesson purchased a Mercedes racer just ten days before the 1906 Vanderbilt Cup Race. 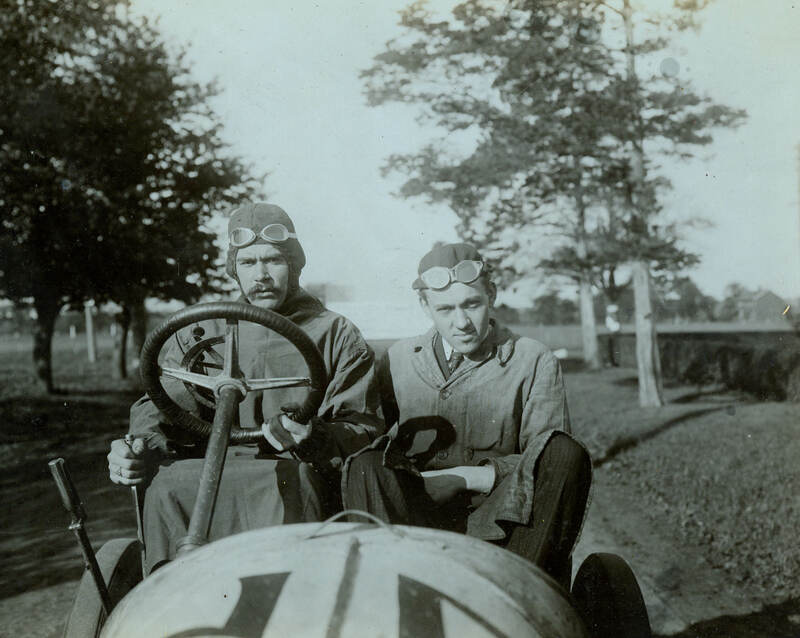 Brown immediately commissioned photographers Spooner & Wells to document his car before and during the race. 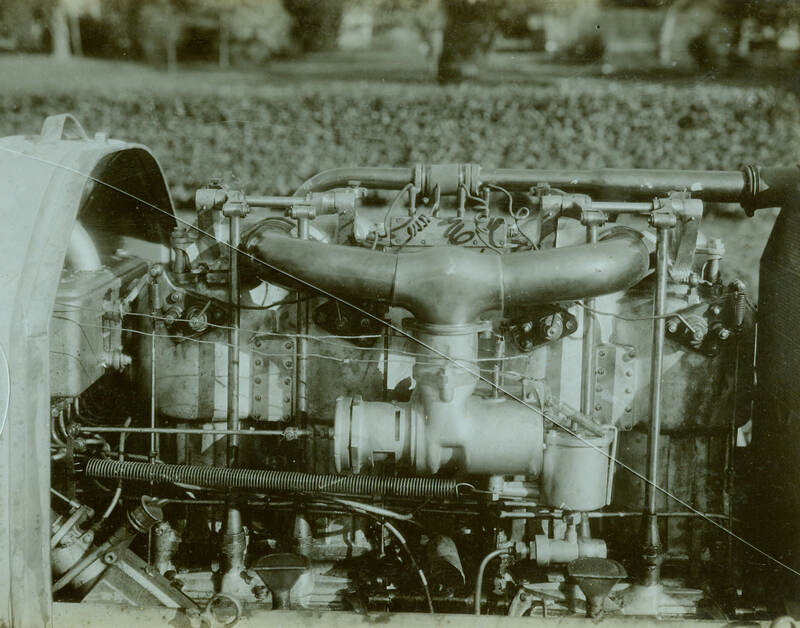 The following photos show driver William Luttgen and his mechanican Marx preparing the car prior to the race. Here Luttgen and Marx pose with the #7 Mercedes. 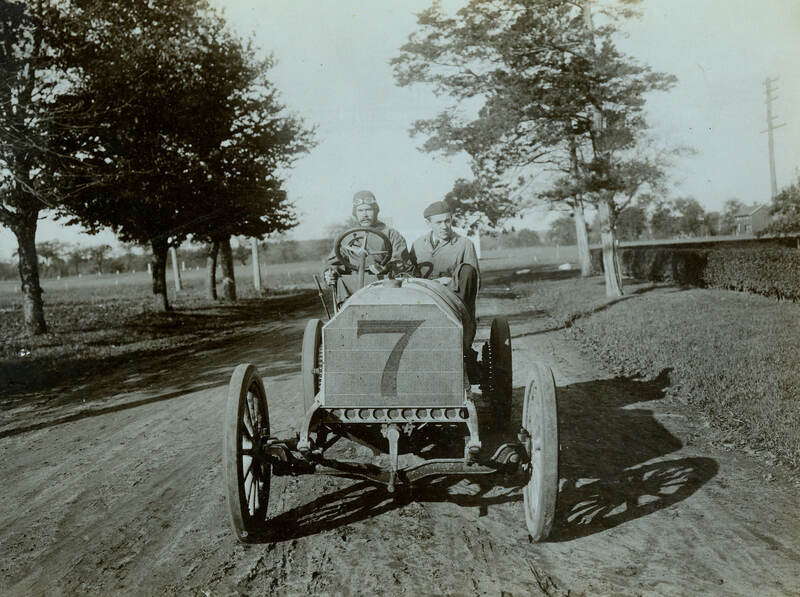 The car had already been accepted as a 1906 Vanderbilt Cup Race entrant before being purchased by McKesson Brown. 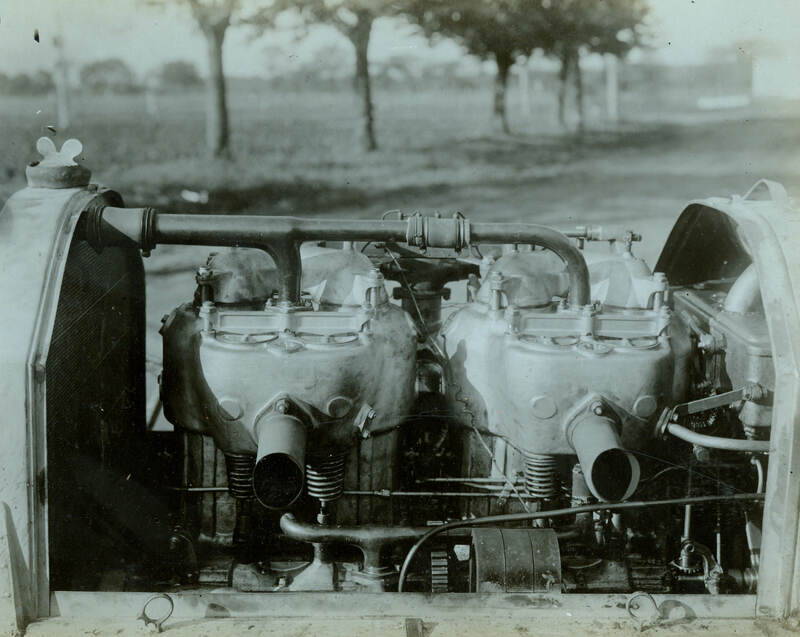 Close-ups of both sides of the Mercedes 120 HP 4-cylinder engine. During the week prior to the race, Luttgen and Marx were seen practicing on the course. Here they are making the turn by Krug's Corner Hotel at the intersection of Willis Avenue and Jericho Turnpike in Mineola. 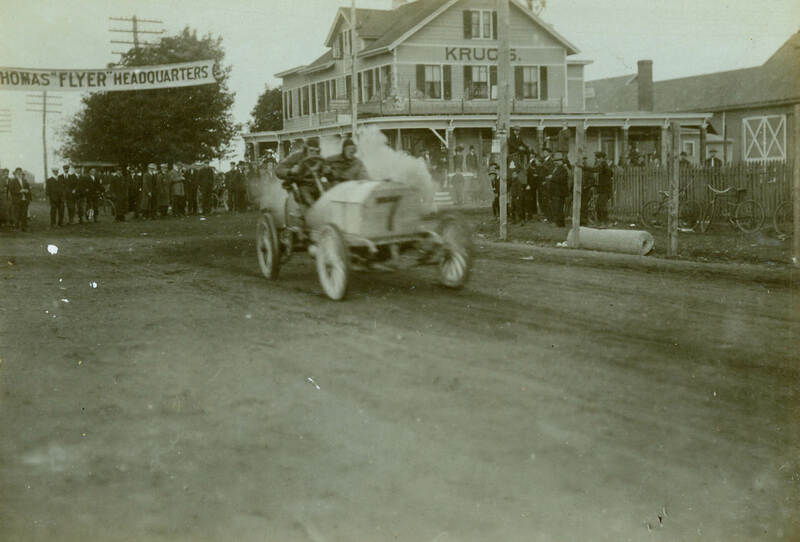 This 1906 Vanderbilt Cup Race film shows the #7 Mercedes in action. The car finished 11th of the 17 entrants.